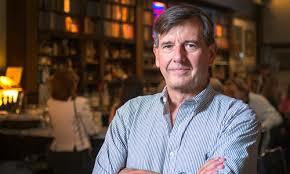 Colin Cordwell, proprietor of the The Red Lion English pub, brings his uncanny insights and encyclopedic knowledge to Booth One this week. Colin has seen it all in his 40 years watching “a conveyor belt of humanity go past me” behind one of Chicago’s great bars. He regales Gary with tales of his father John, an architect who became a POW in WWII. John designed a theatre in his prison camp and became a forger who was part of The Great Escape. Colin describes some of the many memorable characters who have walked into the Red Lion, including Christopher Hitchens, with whom he had an extended conversation about WWI poetry. Calling the exchange “a labyrinth of obscurata,” it’s an astonishing glimpse into just one small corner of Colin’s ability to speak eloquently about so many subjects, including history, poetry, philosophy and war. A fine actor earlier in his career, Colin has a soft spot for those who walk the boards. Colin and his father have generously given free rehearsal space to nascent theater companies over the years. When Barbara Gaines brought them her vision for a major Shakespeare company in Chicago, they believed in her and provided a venue for her first project back in the early 80’s. 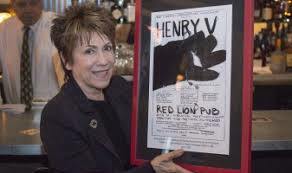 That memorable production of Henry V started Shakespeare Repertory, now known world-wide as Chicago Shakespeare Theater. Colin talks movingly about how he could see that Barbara’s “soul was ignited” by Shakespeare’s work and how proud he is that his dad and he helped her get CST off the ground. Gary gives a glowing recommendation to go see the Goodman Theatre’s production of A View From the Bridge, the stunning Ivo van Hove conception that played on Broadway a couple of seasons ago. Done in the style of a Greek tragedy, this interpretation gives deeper meaning and understanding to one of Arthur Miller‘s most famous plays. An absolute must see – running only until October 22! Looking for a “higher” education opportunity? Look no further than Northern Michigan University in Marquette, MI. 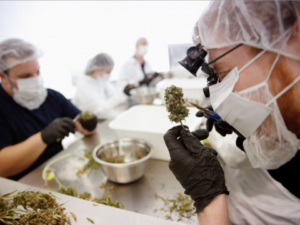 This small Midwest college is offering the first degree of its kind at a four-year undergraduate college in “medicinal plant chemistry”, effectively a major in marijuana, that will prepare students for careers in the burgeoning marijuana industry. Now’s your chance to make that career change you’ve dreamed about! Read more here. 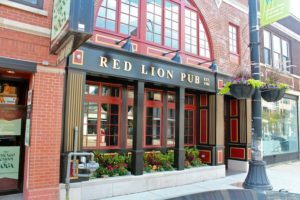 Like many properties and buildings that date to the 19th century, The Red Lion has its stories of haunting, ghosts and inexplicable events. Colin chillingly recounts a few encounters over the years with specters, voices and objects moving by themselves. Gary talks about what a magical place the Red Lion is and how he learns something every visit. It’s a place that awakens the imagination. Want Harry Potter and the Cursed Child tickets on Broadway next year? You’ll have to register as a “verified fan” with Ticketmaster and give up your personal information for their marketing use – forever! While consumers surely benefit from these anti-bot techniques, producers benefit even more by creating Amazon-like databases. The Chicago Tribune lays the story out pretty clearly. “The Primal Scream” in 1970 became a cultural phenomenon, embraced by celebrities as a treatment that could cure a multitude of ills and neuroses. Janov’s Primal Center in Los Angeles still practices the technique, though it has been debunked and discredited as a treatment option for mental health. It managed to outlive the 70’s by a considerable margin. 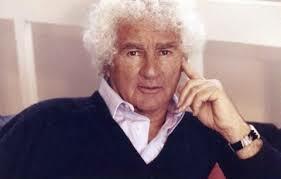 Arthur Janov was 93. Read Margalit Fox’s obit.